If you'll be celebrating your nuptials with a bang, read these tips first. Fireworks are a staple for the Fourth of July, but they're also becoming more and more common at weddings! Many Inside Weddings couples choose to surprise their guests with a fireworks display during the reception, and other brides and grooms are surprised with the romantic spectacle during their event by a family member. No matter how the fireworks show comes about, it's an incredible opportunity to add even more drama to the biggest day of your life. Since she has planned many events featuring exquisite fireworks shows – including a Fourth of July welcome party for a wedding that took place over the holiday weekend, we asked Mary-Frances Hurt of DFW Events to share five of her top tips for couples desiring fireworks at their wedding celebrations. While it may seem like all you need to do is contact a fireworks vendor, there are actually a number of things couples should to keep in mind in order to ensure the entertaining showcase is picture-perfect. 1. Most locations require permits for fireworks that can take several weeks to process, so be sure to book well in advance. 2. Research "burn ban" laws that are applicable to your wedding or event destination. Some places do not allow fireworks at all, meaning that putting on a beautiful display could incur a not-so-beautiful fine. 3. Talk to your event planner to help gauge the appropriate amount of time for your fireworks show. If your guests will be standing up for the duration of the show, you don't want it to be too long. 4. Coordinate your fireworks display with music to take the show over the top! 5. 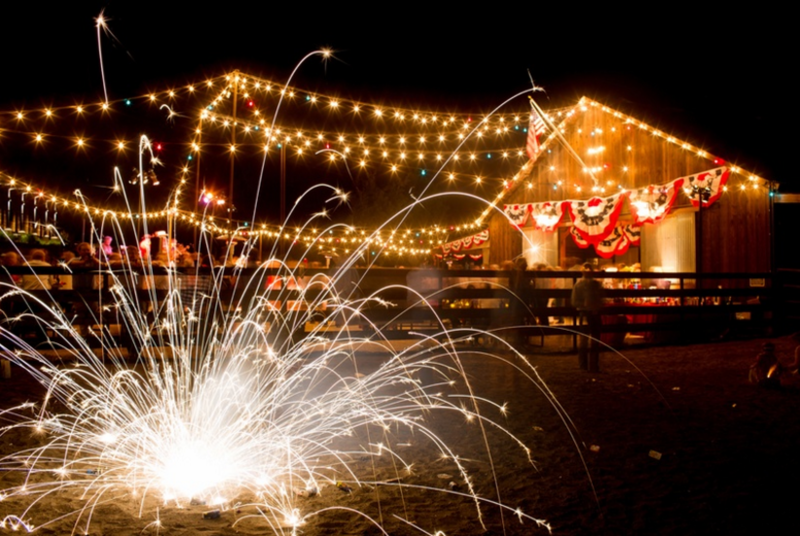 Give your photographer and videographer advance notice that you will be treating guests to a fireworks display. This will ensure that they bring the proper lenses and equipment and are prepared to capture the right shots at the perfect angle! Get more wedding planning tips here and be sure to browse through hundreds of real weddings by your preferred color palette, style, location, and more! Take a look at our photo galleries for even more wedding inspiration, and follow Inside Weddings on Pinterest for daily wedding ideas!